This town is a country and blues burg, a rock-without-borders haven, a place that embraces songwriters who can make poetry from their past. But you don’t hear much about Austin’s legacy as a jazz town. It’s quite amazing, then, to realize that a pair of Austinites, trumpeter Kenny Dorham and bassist Gene Ramey, not only backed the likes of Charlie Parker and Lester Young, but played on many of the late-’40’s and early-’50s Thelonious Monk sessions one critic called “among the most significant and original in modern jazz.” To go from the all-black L.C. Anderson High School in East Austin to 52nd Street in Manhattan and play with the best is a trek that only talent can guide. But Dorham and Ramey, who both picked up a lot of session work by knowing how to best shade the outline of the spotlight, are not widely known except to jazz aficionados. 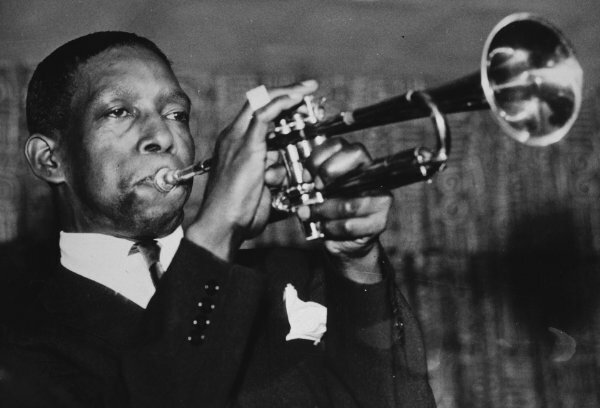 Dorham, who died of a kidney disease in 1972 at 48, was in the shadow of the three top trumpet players of the bop era: Miles Davis, Dizzy Gillespie and Fats Navarro. But he’d settle for the “thinking man’s trumpet player” tag. Those on the panel to decide who will be the first 10 inductees in the Austin Music Memorial, which will be unveiled on a terrace of the Long Center in March 2008, will make a gutsy, yet justifiable move if they choose two jazz figures in that first group. But if only one jazzman can be chosen this first year, make it Dorham, who, unlike Ramey, was part of a music scene while he lived in Austin. Originally a sax player, Ramey (1913-1984) went to Anderson before it had a band and didn’t even learn how to play the bass until he moved to Kansas City as a young man. Dorham was part of a group of young horn-blowing cats who’d sneak off after band practice, away from the authoritative glare of Sousa-lovin’ band director B.L. Joyce, to play improvisational jazz in the backyard of Roy and Alvin Patterson at 1709 Washington Ave. Also in that horn circle were Gil Askey, who would go on to be the top horn arranger at Motown; trombonist Buford Banks (Martin’s father); and a pair of swinging trumpet players, Paris Jones and Rip Ross. In a 2004 interview with the American-Statesman, Alvin Patterson (who would replace Joyce as Anderson’s band director in 1955) recalled Dorham as a quiet, deep fellow who was “very thoughtful and perceptive.” Dorham would often defer to the older players, especially Hermie Edwards, who everyone knew was the baddest horn player on the East Side. After high school, Dorham attended Wiley College in Marshall, where he majored in chemistry. But after only a year in college, Dorham was drafted into the Army. He was discharged in 1943. Dorham’s first gig was in California with the Russell Jacquet Orchestra, according to Dave Oliphant’s Texan Jazz (University of Texas Press). Dorham got his big break in 1945 when he replaced Navarro in Billy Eckstine’s orchestra, the first bop big band, from whose ranks flowed the likes of Parker, Davis, Gillespie, Dexter Gordon and Sarah Vaughan. On Christmas Eve 1948, Miles Davis couldn’t make a gig with the Charlie Parker Quintet, so he recommended Dorham as a replacement. The gig lasted two years, including a sensational stint in 1949 in Paris, at that city’s first international jazz festival. Although Dorham played with Parker on the sax great’s final public performance in 1955, he spent most of the early ’50s freelancing for Monk, Bud Powell, Sonny Stitt and others. In 1954, he co-founded the highly influential Jazz Messengers with Art Blakey. Later, Dorham led several of his own groups, recording such highly regarded albums as “Afro Cuban” in 1955, “Jazz Contrasts” in ’57, and his most highly regarded LP, “Una Mas,” in ’63. 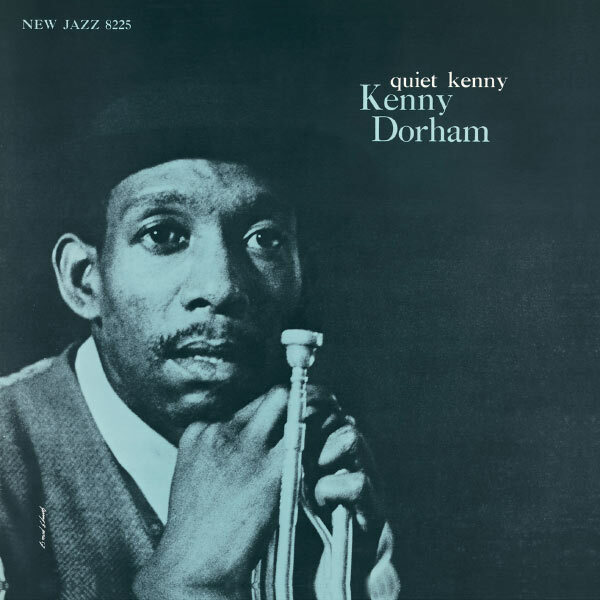 With such tenderness and vulnerability in his dark tones, Dorham has been called the most poetic of trumpet players. “He embodied the Blue Note era,” Heflin says, in reference to the signature label of 1950s and ’60s jazz. He was also a bluesy singer on occasion, wrote the jazz standard “Blue Bossa,” and he helped discover and nurture young talent such as tenor sax player Joe Henderson. Patterson, who recently passed away, was able to hang out with Dorham one last time, when Dorham returned home to play the 1966 Longhorn Jazz Fest at the old Disch Field. Also booked at the festival were John Coltrane, Lightnin’ Hopkins, Elvin Jones, Dave Brubeck and ex-Austinite Teddy Wilson. That’s right, Austin can also lay (tentative) claim to Billie Holiday’s favorite piano man, Wilson, who crossed the color line in 1935 when he joined the Benny Goodman Trio (with drummer Gene Krupa). The son of schoolteachers, Wilson was born here, but moved to Alabama at age 6 when his father got a job teaching at the Tuskegee Institute. Dorham and Ramey, along with Nat King Cole’s guitarist Oscar Moore, are the greatest representatives of Austin to the jazz world because their playing was in service to the song. Dorham gets special mention here because he influenced Martin Banks, who played trumpet in the house band of the Apollo Theater, and who passed the trumpet torch to the next generation of Austin players, including Ephraim Owens. There’s always going to be a new generation of deep-thinking cats to keep Dorham’s legacy alive.